People often challenge me to make healthier versions of their favorite foods. Usually I come through. And sometimes, I issue the challenge to myself. 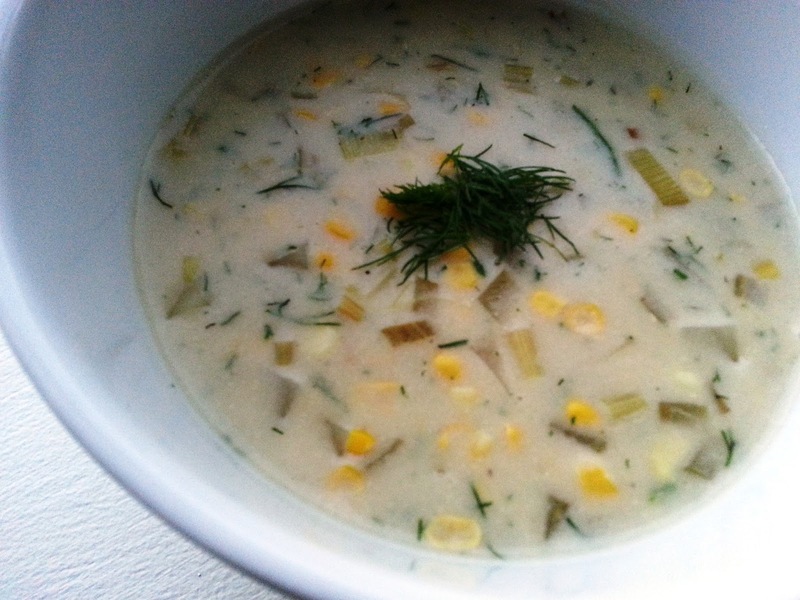 Like a healthier corn chowder. My mom made a mean corn chowder. It was by far one of my favorite of her cooking specialties. Though I never got the recipe from her, it’s long been one of my primary comfort food go-to meals. Now that corn is in season, there was nothing I would rather do with a few ears of fresh sweet corn than pay homage to one of my favorite childhood memories. Though she worked in the food industry as a cook and a butcher (how badass is that?! ), there weren’t a lot of things I got excited about when it came to my mom’s cooking. At home she seldom cooked anything from scratch. Many of her go-to meals included SPAM (oh the myriad ways she could incorporate that stuff into a meal), chipped beef on toast (trust me, it looks way more disgusting than it sounds), and cube steak (which could explain my life-long tendency to turn my nose at any meat that comes from a cow). Starting to understand why I loved her chowders? (her fish chowder was also out of this world). Though she never used a recipe, the ingredients were simple and the result always something we all looked forward to (unlike her ‘famous’ scrambled hamburger (which is exactly what it sounds like….)). My take on mom’s chowder is certainly lower in fat (low fat instead of whole milk, no cream or half and half, very little butter and low sodium chicken broth). It’s also gluten free. My mom would have never put dill or leeks in hers (I don’t think I ever saw her use a fresh herb) favoring a white onion and just a good dose of salt and pepper to season. Wine? Not a chance! This recipe is very simple and lends itself well to improvisation. Add some fresh, canned or left over salmon or chicken breast for some protein. Tossing in a couple of the corn cobs adds another layer of that wonderful sweet corn flavor. Not a fan of dill? Try tarragon or thyme instead. Got a recipe that you bet I can’t make over? Let me know by commenting on this post or contacting me directly. I have yet to meet a challenge I could refuse!